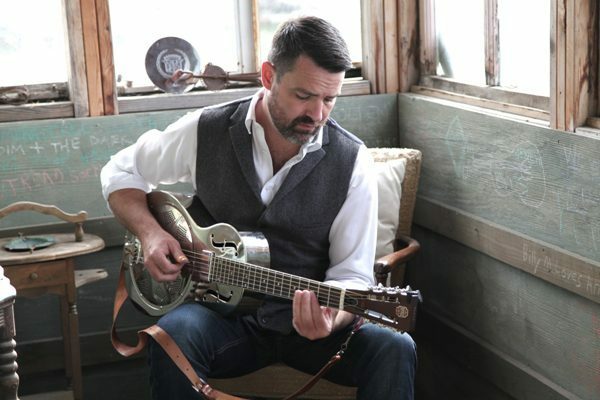 Slide guitarist Martin Harley visits the Midlands on November 29, 2017, to perform at Katie Fitzgerald's in Stourbridge. The 42-year-old, who was born in Cardiff and raised in Woking, Surrey, has become an increasingly influential artist in the folk and blues circuit thanks to seven albums and countless gigs around the world. His latest studio release is Static In The Wires, recorded in Nashville with American bass player Daniel Kimbro. The two musicians met through a mutual friend, Sam Lewis, at Hippie Jack's music festival in Crawford, Tennessee, in 2014. After a brief backstage rehearsal, the two took to the stage for an hour of largely improvised music. A few weeks later they were cutting a record at Zac Brown's iconic Southern Ground studios. It was released in 2015 as Live at Southern Ground. Martin and Daniel will tour the UK together next year but for the rest of 2017 Martin will be performing solo. His tour concludes in Summercourt, Cornwall, on December 10. A respected player of the Weissenborn (Hawaiian acoustic lap guitar), Martin's musical CV is impressive. He has headlined Music City Roots in Nashville, performed on the Cayamo Cruise, toured coast to coast with ZZ Ward and Delta Rae and opened for Iron & Wine, Bruce Hornsby, Five for Fighting, World Party, Beth Hart and Joe Bonamassa. His music has featured on hit TV shows like The Vampire Diaries, Banshee, and VH1's Morning Buzz. He says he was inspired to play slide guitar after hearing Ry Cooder's Paris, Texas film soundtrack. It was a trip to America in 2012 that laid the foundation for the music he plays today. He stopped off in Nashville where he jammed with Americana legend Chris Stapleton and gigged in a writer's circle at the famous Bluebird Cafe. He admits the experience made him raise his game and work even harder to be the best guitar player and singer he could be. December 10: The Fox's Revenge, Summercourt.